Goa is finally getting it’s due as a place to visit even in the monsoon months. 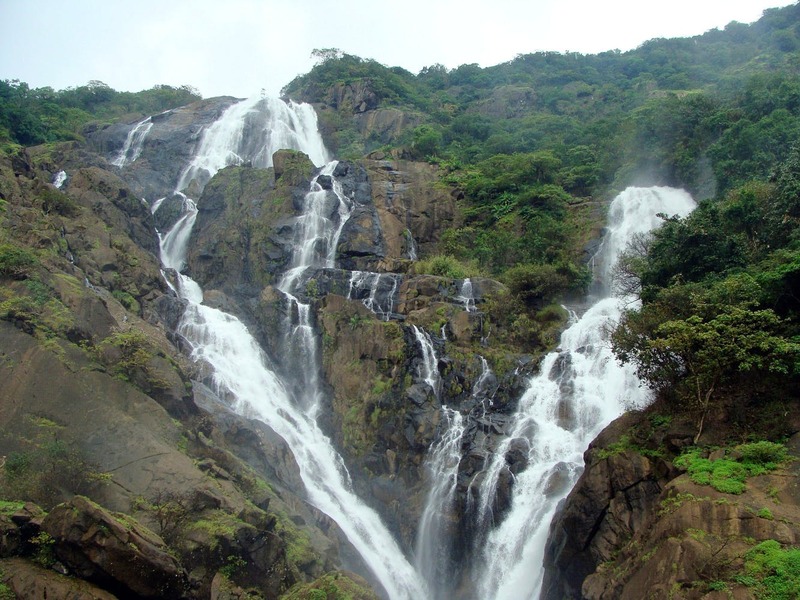 And what better than visiting waterfalls that dot the Goan landscape. Here are our top five picks. Nestled in the jungles of Netravalli Wildlife Sanctuary, it can be reached via a well marked trail that is a half-an-hour walk. The water from the fall makes for an exciting pool to plunge into, but be careful while climbing down as the rocks can be slippery. To add to the excitement, your feet will be nibbled by a lot of tiny fish which may startle you initially, but once you get used to them you'll be happy for this free pedicure. These falls are in the Cotigao Wildlife Sanctuary near Kuskem Village and is an easy 10-15 minutes hike from the first check point. While you'll obviously jump into the water for some fun, beware of the monkeys around who are skilled to take away your belongings. Renowned for medicinal properties, and a great natural spa, Keserval Springs are pretty sought after. A short and easy hike to the falls, it is located near the village of Cortalim on the Southern banks of the Zuari river. The falls get their name from an Indian word meaning eagles, because the high soaring birds used to make their nests on the high cliffs facing the falls. These are one of the hidden and the most beautiful waterfalls in Goa. Located about 14 km from Valpoi village, this trail is apt for trekking enthusiasts given its hilly terrain that meanders through thick vegetation. Considering there is no marked trail to this waterfall, taking a local guide along is highly recommended. These waterfalls are the easiest to get to as they are located just by the roadside. The falls are about 15 km inside the forest gate at Bhatpal situated on the road towards Neturlim in the Canacona region of South Goa. Given it's easy access, these falls are pretty popular with the Goans, so you can expect it to be crowded. Most of these waterfalls are in areas controlled by the Forest Department and have marked trails leading to the falls to avoid navigational challenges. Some places might have a nominal entry fee (INR 20 per person, INR 70 per car, and charge for camera depending on its model).If venturing in comparatively unknown terrains, taking guidance from the Forest Department is recommended.